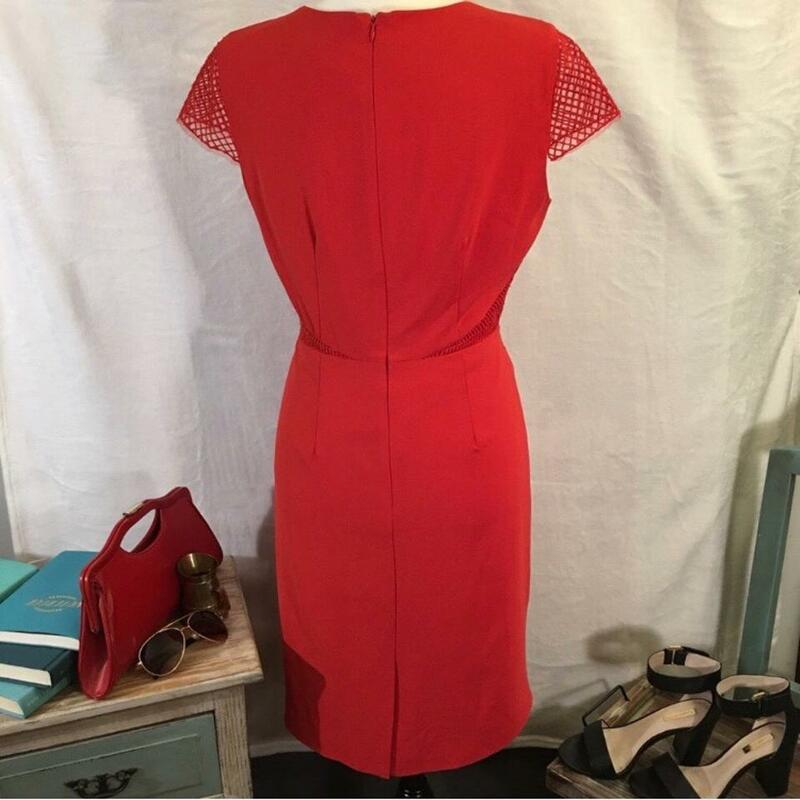 Beautiful Antonio Melani sheath dress. 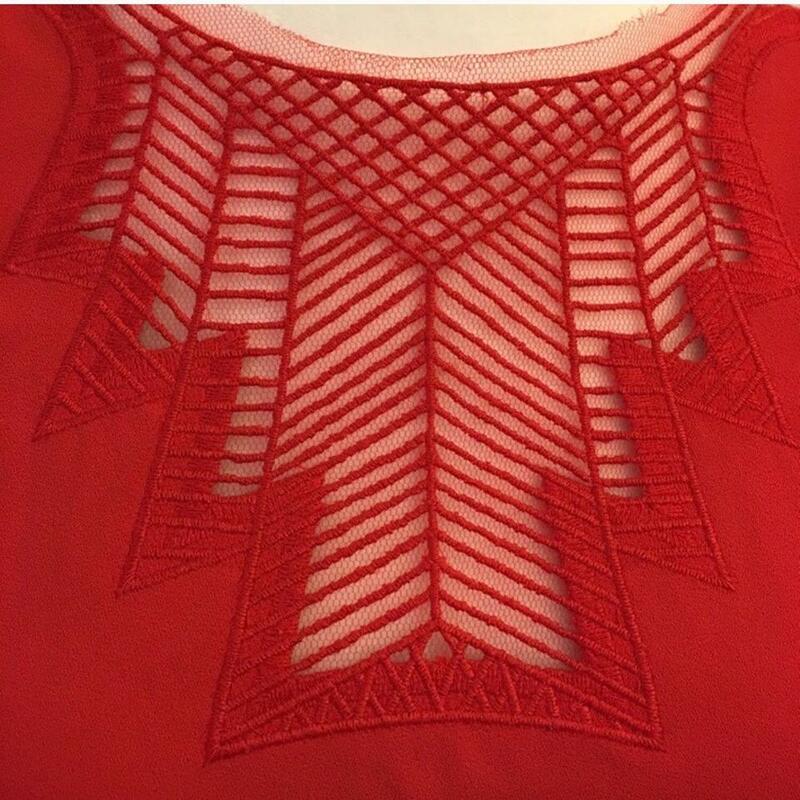 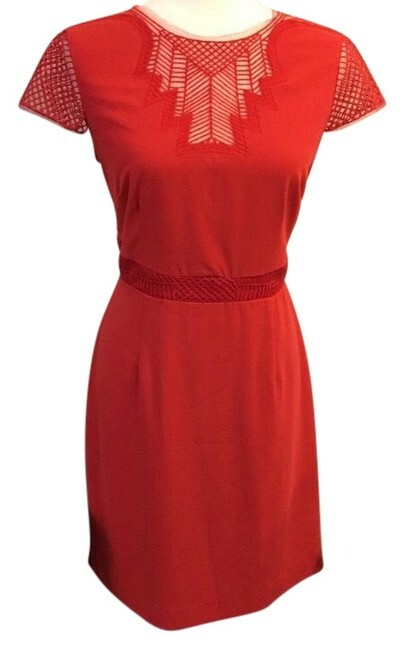 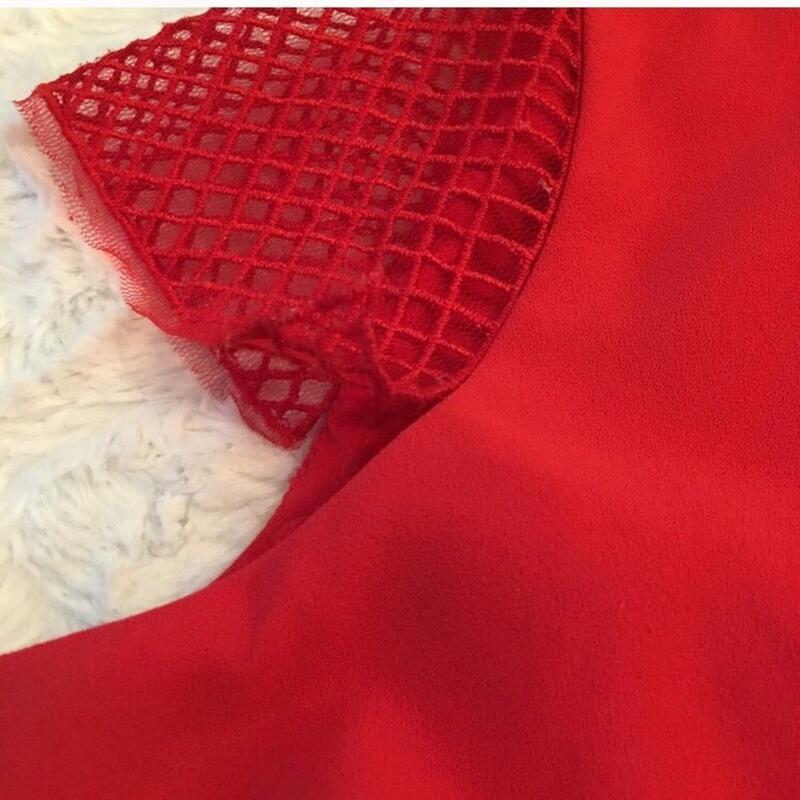 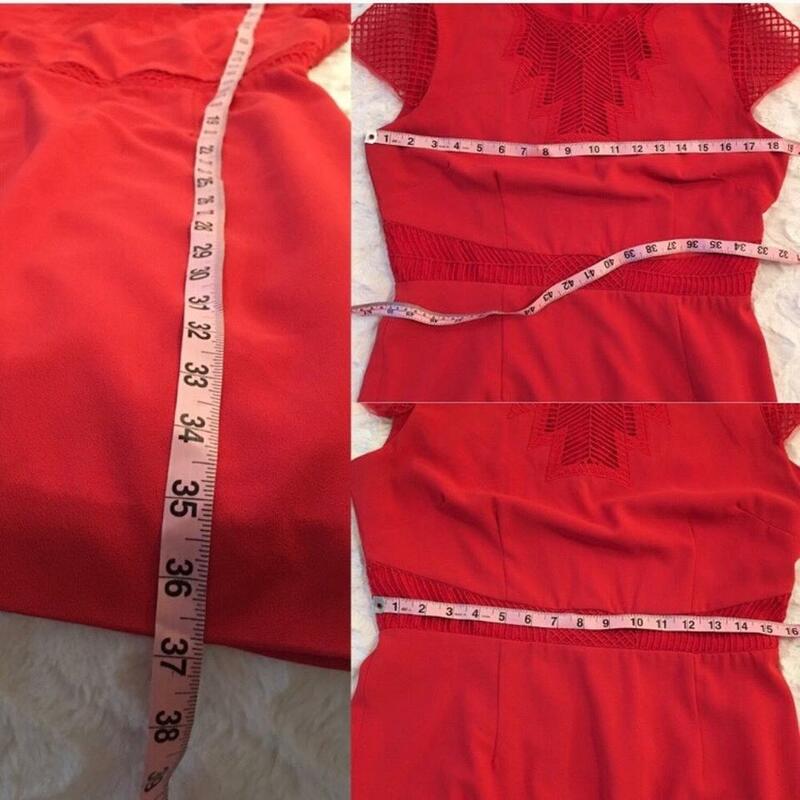 Gorgeous red color w/lace enclosed geometric cut outs in neckline & capped sleeves. 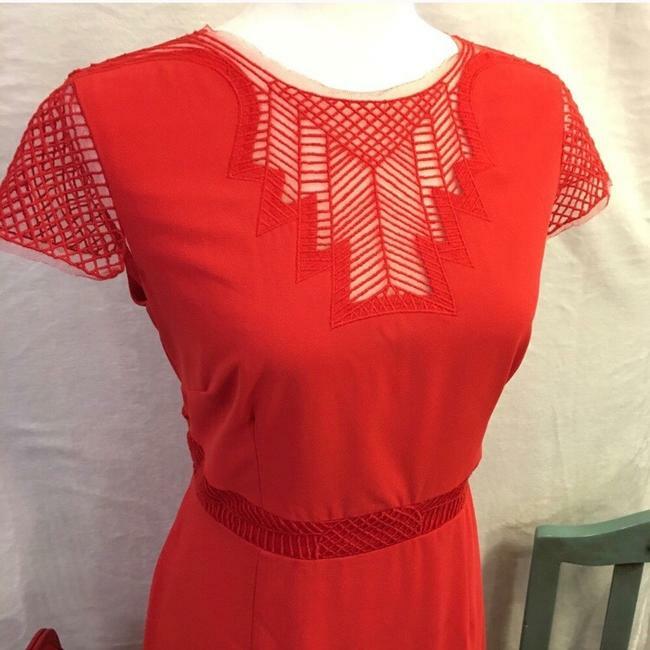 This dress is in good preowned condition. One small tear in one of the sleeves— a super easy fix, but also not really visible when being worn as is. 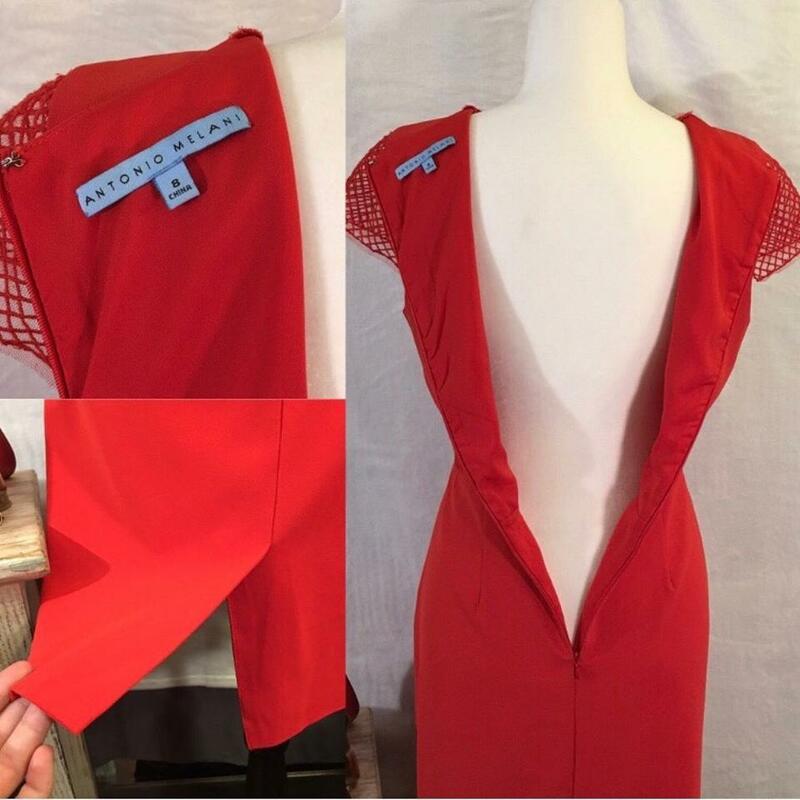 This item has been well stored in a smoke free home, but it is a dry clean only piece. 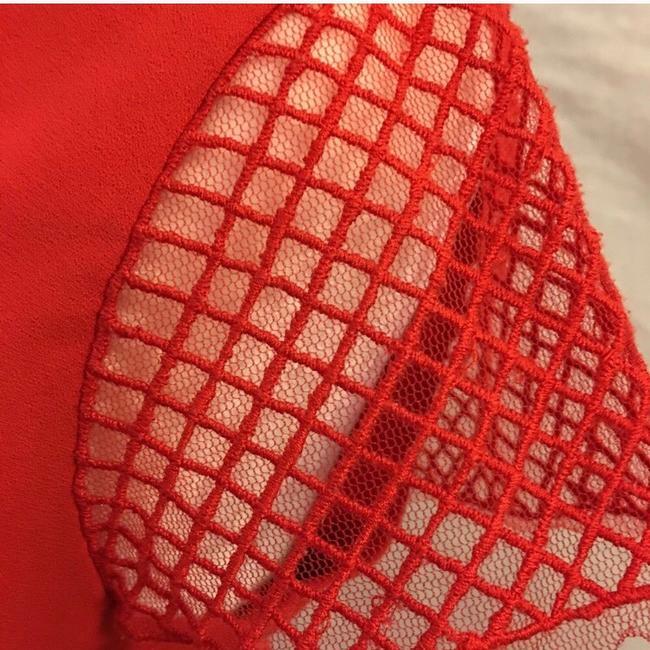 Could prob use a cleaning once purchased.